Prepare to be devastated, because something truly horrible has happened: Mouths all over the world are watering today for Two-Dollar Lobster Roll Day, but no one knows where it is. This is just about the worst news imaginable. Two-Dollar Lobster Roll Day means one thing: It’s time to line up to get your hands on a freshly steamed bun piled high with succulent, buttery lobster meat, all yours for just two bucks during this limited-time promotion. But where? This is the question nobody has yet been able to answer. This could be an international promotion, at a single location, or at a food truck for all anyone knows. Google searching “two dollar lobster roll location” turns up no results. 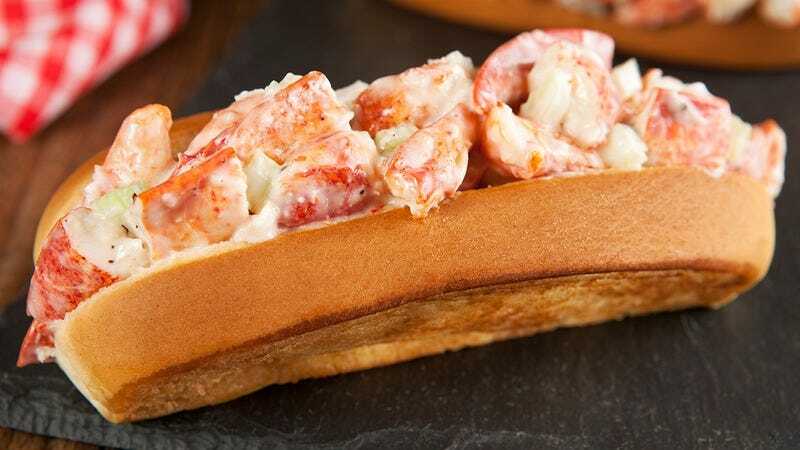 Customer service representatives for both Red Lobster and Joe’s Crab Shack have stated that Two-Dollar Lobster Roll Day is not at their restaurants, but that it sounds like an amazing deal. One guy in Massachusetts thought he remembered a place in Cambridge that had a deal like that once, but it turned out it closed in 1997. Ouch. This one really stings. Lobster Rolls are normally, like, $15. Perhaps the most awful part of all of this is that on Two-Dollar Lobster Roll Day, there’s no limit to the amount of $2 lobster rolls you can buy. That means anyone who was looking forward to spending only $20 on a huge stack of lobster rolls will now either be forced to spend way more on their lobster rolls or find a different food to eat altogether. Two-Dollar Lobster Roll Day is an opportunity you don’t want to miss out on. It’s a feeding frenzy for the whole family. You better hurry, because Two-Dollar Lobster Roll Day ends at midnight. Well, things are definitely not looking good. If someone doesn’t track down Two-Dollar Lobster Roll Day soon, this will go down as an unmitigated tragedy for the world.